Lash extensions have taken the beauty industry by storm these past few years, and have been growing exponentially since then. We have heard and seen many horror stories throughout the years and clients have come to us with many of the same questions and shared the same concerns. Today, we’re debunking those for you! 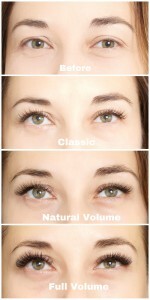 Here are a few common misconceptions about lash extensions. MYTH: All lash extensions are the same. REALITY: This is absolutely false! If we are each different in our genetic makeup, our looks, our size, how can lashes be any different? Not only do lash extensions come in different lengths but also in diameters (thickness) as well! Back in the day, when Classic Lashes first came to existence (ie. 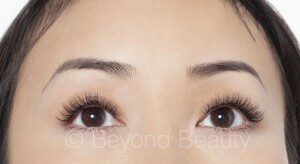 1 extension per lash) many technicians would use thicker and longer extensions in order to achieve the fuller look. 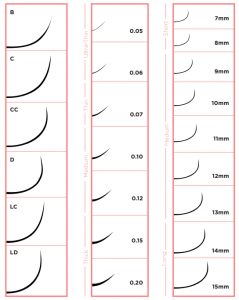 This is problematic as our natural lashes range from 0.10mm – 0.12mm. 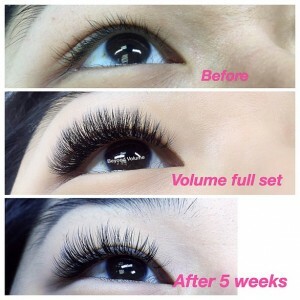 If extensions are not properly applied or lash health is not considered, this could result in hair damage to the lashes. A knowledgeable technician will ALWAYS consult with you prior to your appointment to ensure the health and safety of your lashes and what is suitable for you with your preference in mind. MYTH: Too many extensions, means too much weight on lashes. REALITY: As mentioned in the previous point, extensions come in many different lengths and thickness; this allows the lash technician to customize the lash set to your preference and lash health. That’s where Volume lashes come in! 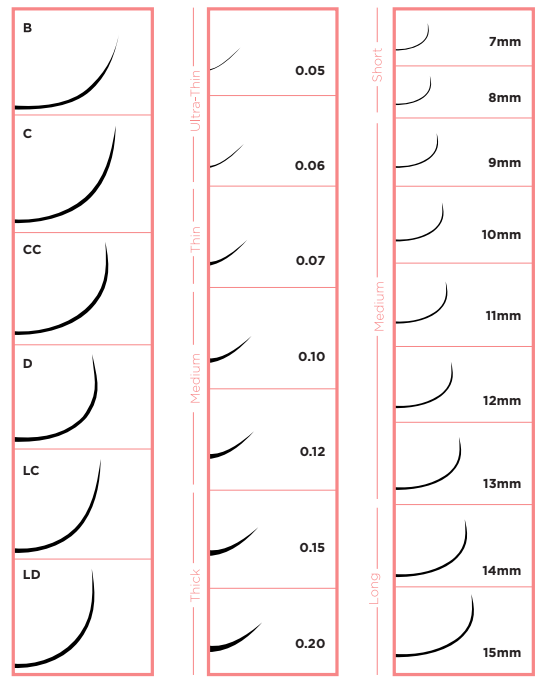 Be aware of salons that use 0.15mm lashes for volume application. This indeed WILL weigh your lashes down (no one wants the droopy lash look!). The best lash extensions for Volume lashing are between 0.05mm – 0.07mm in diameter. Both lightweight, and fluffy! MYTH: Different lash counts for different lash looks. REALITY: Extensions should never be counted. Rather, just beautifully crafted to suit the client’s eyes. We never count lash extensions since your natural lashes consistently shedding so no two people will have the same number of lashes! MYTH: Volume lashes look like strip lashes. REALITY: Let me start by saying, strip lashes ARE NOT Lash Extensions!! Strip lashes are completely different and are not a sustainable solution when it comes to getting those awesome flutters you aspire to have. A lot of salons have been known to use 0.15mm diameter lashes in volume applications, which can end up looking like thick strip lashes. With appropriate application from a knowledgeable technician using thinner/lighter extensions, your lashes should look fluffy, flawless AND natural. © 2019 Beyond Beauty All Rights Reserved.